A view of Camden from the surrounding farmland. A large yet tranquil country town. The Camden area is in the South West of Sydney. People who live in Camden experience temperature extremes and low rainfall. Rainfall averages around 770mm per year and temperatures range from 46 deg as an extreme maximum in summer to -6 deg as low as -6 deg overnight in winter. It has arguably the most varied climate in Sydney. Plants grown in this area must be frost hardy or be situated in protected areas of the garden. When choosing plants from the Landscape Design Sydney website, Zone 3 will be the most suitable for growing in these conditions. Oran Park & Mount Annan require a landscape plan for any new dwelling development applications. So if you live in these areas please contact us for a free quote on your garden design. As a leading landscape design Sydney firm, you can rely on us to get the job done right the first time. These two developer areas require landscape plans to be drawn by qualified landscape designers, so we were more than happy to offer our expertise in designing your dream garden to suit your new home. 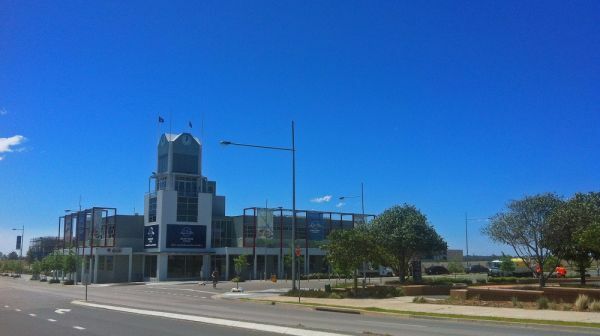 Oran Park town center is now a booming metropolis with a dynamic commercial hub. Harrington Grove is a premium suburb in Camden that consists of elegant houses throughout with the added bonus of a country club.